Marketing data is often presented as a cold and lifeless tool for the analytical mind. An all too common phobia of numbers and using them has skewed our view of these helpful digits. Data appears too abstract. We ask, how can data show us real engagement with real people? Data, if used creatively, gives us specific and detailed information. Data is not an hindrance to authentic communication; it is knowledge. We cannot make an honest appraisal of ourselves or have real relationships without knowledge. This is where data can help us. Data is a quantitative tool. By this, I mean it has the humble task of counting things. Data counts interactions. This is the scope of its abilities at the foundational level. Initially this seems limited. It is true that in the hands of someone without an understanding and appreciation for the creative capacity of data, it is useless. However, when data is used by a skilled individual it can paint very specific pictures. We begin to see what customers like, dislike, and love. Let’s put this on a more human level. A young man wants to surprise his girlfriend. He’s prepared an exquisite pasta dinner, made an easy listening playlist, and rented a romantic comedy. They have their date night, but by the end she is bored and mildly annoyed. What did he do wrong? She has a gluten allergy and couldn’t eat any of the dinner. She couldn’t stand the elevator music he was playing all night. She hates anything with Hugh Grant or Drew Barrymore in it. His fatal error was that he lacked data. Show you know what a customer likes by offering content specific to her; it will make her feel important and appreciated, because she is. A lack of concern for her tastes only demonstrates your ambivalence for the customer. This is why we need as much data as can be gathered. One metric of data by itself tells us almost nothing. It is when we observe additional metrics that we begin to see patterns. We start to uncover the greater picture. What does this mean for the business people that need to make sense of and make use of data? How will it help you and your business? Sun Tzu, an ancient Chinese general, author, and philosopher had something to say about this: “Know thyself, know thy enemy. 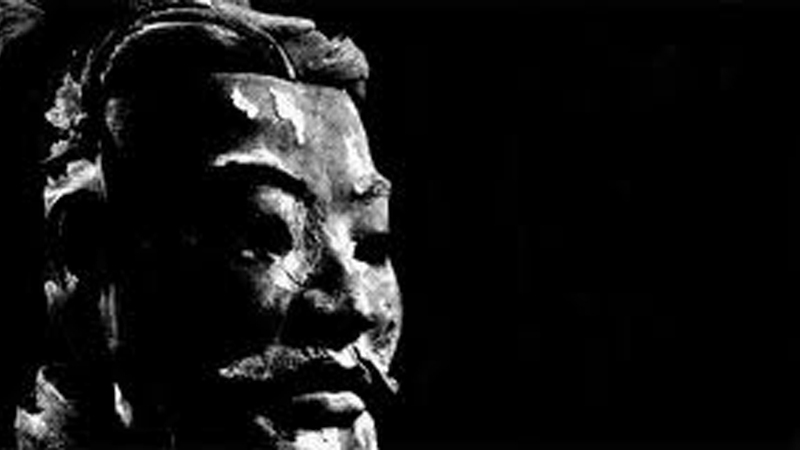 A thousand battles, a thousand victories.” Who knew Sun Tzu was a data guy? Know Thyself: Now that you recognize the importance of data, you need to know what data to collect in order to discover your perfect customer. Look at your current customers and gather information. Who are they? What is their story? Where do they go online to gather information? How can you help them? What are their pain points? Answering these questions will give you a good grasp on who you are, what you offer to our customers, and your own capabilities. Know Thy Enemy: Letting valuable data lay stagnant while you guess at business solutions is your enemy. Having a store of data at the ready allows you to respond intelligently when new challenges arise. Preempt problems and you will have an advantage every time. In business, dates, and battlefields we need to be information gatherers. The data will, as it is uncovered, show us patterns of action and eventually people. As we get to know these people by each action they take; we see what they enjoy. We now have the privilege of putting engaging and delightful content in front of them. Leads will come back to you for more content and eventually to purchase your product or conduct business with you. Remember: Know thy data. A thousand customers, a thousand victories! 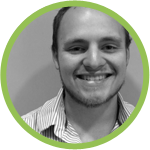 Jacob is the Analytics Intern at WindFarm Marketing. He has a background in technical support and is Google Annalytics certified. He loves learning about anything from Japanese Poetry to Wilderness Survival. If you want to find him he’ll be smoking his pipe and listening to the Hallelujah Chicken Run Band.